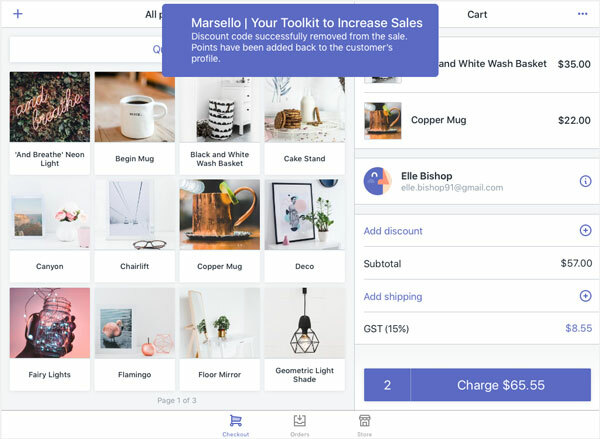 If the customer changes their mind about using their discount code, you can remove it from the sale. 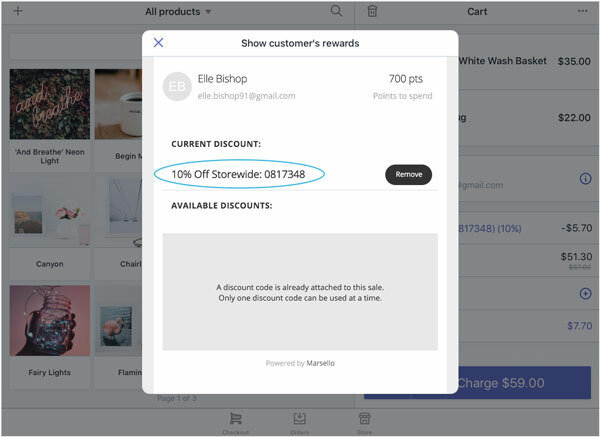 In cases like this, you can easily remove a discount code from the sale. 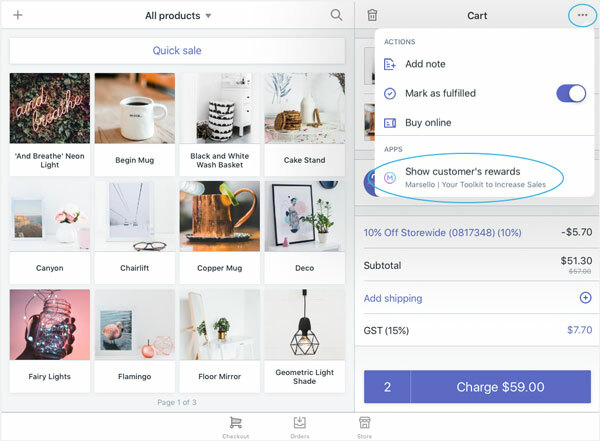 If the customer used loyalty points to redeem the discount code, the points used will automatically be returned to their loyalty profile. 3. Under Current Discount, you can see the discount code attached to the sale. 📝 Note: As only one discount code can be added to the sale at a time, the other available discounts are hidden. You will see a notification to confirm the discount code has been removed from the sale. 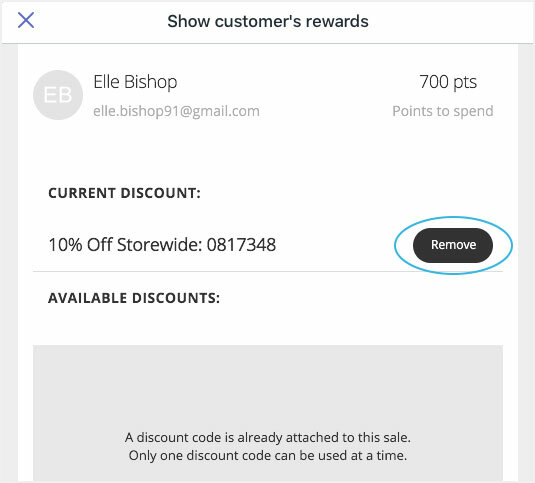 If the customer used loyalty points to redeem the discount code, the points used will automatically be returned to their loyalty profile.